Lead Exposure Injuries at Work. Trial Ordered In Estate Case Over Ownership Of Home. Jury Finds Insurance Company Violated Policyholders’ Right to Full Coverage In Theft of 1970 Chevy Chevelle Show Car. $190,000 Settlement for Elderly Woman Injured In Car Accident in Villa Park. Rolling The Dice: Attorneys’ Fees and Prejudgment Interest for Failure to Pay Commissions. (January 2018) The Chicago Personal Injury Attorneys at DeBlasio & Gower LLC obtained a $190,000 settlement for an elderly client injured in a car accident in Villa Park. The negligent driver suddenly pulled out of a McDonald’s parking lot into traffic striking our 90 year old client’s vehicle. The client sustained fractured ribs and neck injuries, requiring extensive physical rehabilitation. 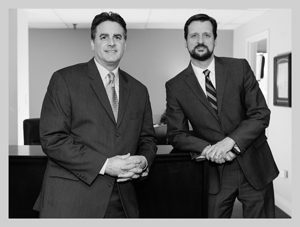 The Personal Injury Trial Lawyers at DeBlasio & Gower LLC have the experience you need to face the most difficult challenges in court, including the Circuit Court of Cook County, the DuPage County Circuit Court in Wheaton and the Will County Circuit Court in Joliet. Strategically located with offices in Chicago and Oak Brook, we are located near the major circuit courts and major highways and interstates. Call us for a free evaluation of your personal injury claim at (630) 560.1123. www.DGLLC.net. DISCLAIMER: While our firm has had success in many cases, past results can never be used to gauge the outcome of any future case. Judges and juries decide the outcome of cases, not lawyers. This blog post is not legal advice and should not be relied on by anyone as legal advice in their particular situation. While DeBlasio & Gower LLC welcomes communications via its website, please be aware that communicating any information to DeBlasio & Gower LLC or any of its attorneys through its web site or via any other method without a formal engagement with the Firm does not constitute or create an attorney-client relationship between you (or any other users, senders or recipients) and DeBlasio & Gower LLC or any of its attorneys. For your protection, please do not send us confidential information until you have spoken with one of our lawyers and received authorization to send that information to our Firm. Thank you.